The NW TUC and NW UNISON are supporting a major rally in Manchester on Saturday, 3 March 2012 to send a clear message to the Government. We will be assembling at 11am in Albert Square, outside the Town Hall in central Manchester. If Lansley succeeds in introducing this Bill the NHS as we know it will disappear. This will affect everyone, and we need everyone to demonstrate their opposition to the Bill. Bring your colleagues and friend and show your support for our NHS. 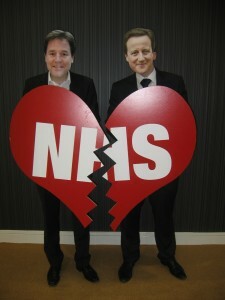 This entry was posted in News and tagged health and social care bill, manchester nhs rally, nhs, save our nhs, UNISON. Bookmark the permalink. Comments are closed, but you can leave a trackback: Trackback URL.